Can you ‘andle his riddum? With this shirt on, you absolutely can. 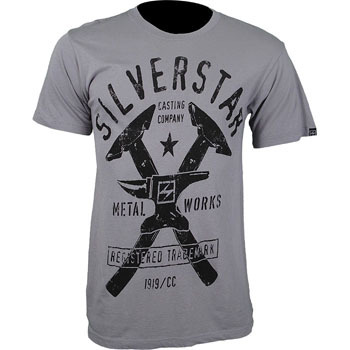 MMAGearGuide.net presents GSP’s UFC 111 Walkout T-Shirt by Affliction when he defends his welterweight championship belt against Dan Hardy. Don’t count the out “The Outlaw” just yet. Matching his red mohawk is his very own Signature Series T-Shirt to be worn for his bout against “Rush” at UFC 111 in New Jersey. We take a look at the shirt that UFC Heavyweight title contender Shane Carwin walks out to come fight night on UFC 111 as he tees of with Frank Mir for the UFC Interim Heavyweight Championship. Tri Coasta is making a huge statement with this limited edition shirt. Here, we feature Gabriel Gonzaga’s Walkout T-Shirt as he faces fellow heavyweight Junior Dos Santos in UFC’s first card on the Versus network. Affliction’s designs are just getting better and better. Introducing The George St-Pierre Affliction Wings T-Shirt.